Livingstone’s Industrial sector team has advised the shareholders of UK-based Alifabs Group on the sale of two of their businesses, Alifabs Cabinets and Ancillaries and Alifabs Design and Construction to US-based CommScope, Inc.
Alifabs Cabinets and Ancillaries, based in Yorkshire, is the UK market leader in design, manufacture, and supply of enclosures for the telecommunications, utility and energy markets. 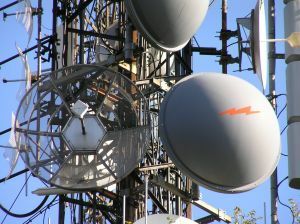 Guildford-based Alifabs Design and Construction is a leading supplier of a full range of tower and monopole solutions to the UK mobile operators. NASDAQ-listed CommScope, supported by cornerstone investor The Carlyle Group, is a global provider of connectivity and essential infrastructure solutions for wireless, business enterprise and residential broadband networks. The acquisition will allow CommScope to access Alifabs’ unique capabilities within towers and enclosures and expand the solutions it offers to wireless operators across Europe. Alifabswill be able to utilise its new owner’s scale to expand beyond the UK with both businesses experiencing high demand for their products and services as major wireless operators roll-out their 4G/LTE offerings.